The stars of the upcoming Broadway musical about Motown Records have read pretty much every book about and listened to every song from that golden era of American music. The research only took them so far, so they decided to come and see Hitsville, U.S.A., for themselves. Brandon Victor Dixon, who portrays the label’s founder, Berry Gordy, and Valisia LeKae, who plays its signature songstress, Diana Ross, visited the Motown Museum on Tuesday, taking a lengthy tour of the two-level home that produced the soundtrack of a generation. “I’m trying not to get emotional,” LeKae said as she methodically inspected the hundreds of mementos – posters, gold records, clothing and more – on display at the Motown Museum. LeKae, a Broadway veteran who has appeared in “The Book of Mormon” and “Ragtime” among others, worried about losing her composure when it came time to visit Studio A, the famed space in which Gordy and his army of artists, writers, producers and engineers signed, sealed and delivered hit after hit throughout the 1960s. And she succeeded, descending a small flight of stairs into the square, smallish room and calmly checking out the famed studio affectionately called the “Snake Pit.” LeKae marveled at an oversized black-and-white snapshot on the wall of Ross singing with a smiling Gordy looking on. It wasn’t until later, while visiting the home’s upstairs, that LeKae’s emotions kicked in. “Baby, baby / Baby, don’t leave me,” she wailed, before the tears began to well up and she had to stop singing. “This is, like, amazing,” she said. LeKae and Dixon, who earned a Tony nomination for his work in “The Color Purple” and bears more than a passing resemblance to a Motown-era Gordy, will be front and center when the show debuts this spring. “Motown: The Musical” begins its run of preview performances March 11 ahead of the official opening on April 14 at New York’s Lunt-Fontanne Theatre. That gives Dixon, LeKae, Gordy (who’s producing and writing the book) and director Charles Randolph-Wright four months to bring the show to the stage. To that end, Randolph-Wright also was at Hitsville on Tuesday, seeing prospective actors during a callback session in Studio A. He’s still looking for understudies and others to play smaller parts. 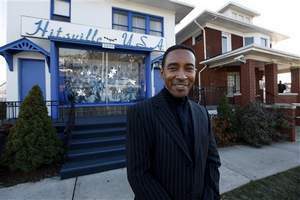 It wasn’t Randolph-Wright’s first visit to Motown’s birthplace as it was for his two leads, but for the 56-year-old who proclaims that “Motown’s in my DNA,” it was no less special. And he has, working for the past three years on “Motown: The Musical,” holding a nationwide casting call and working with Gordy and the other producers to identify which of the overwhelming number of songs from the Motown catalog to include on stage. “The show is 15 hours,” Randolph-Wright joked. While he said the show’s decision-makers are still deliberating about which songs make the final cut, one thing is certain about the musical selections: A few numbers in the show will be Gordy originals, written specifically for it. At one point, he kneeled down and softly touched the cushion of a red-orange couch upstairs on which Marvin Gaye would take the occasional slumber. Dixon burst out laughing, then leaped up and continued the tour. 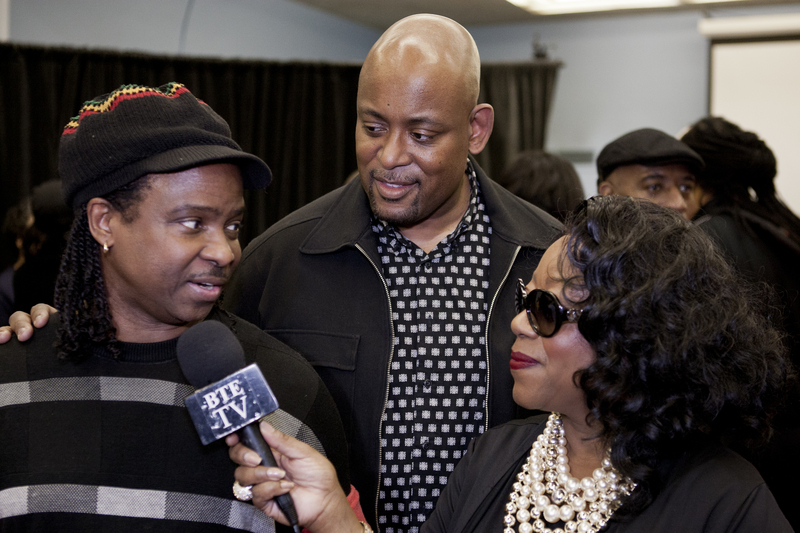 All three of the Hitsville visitors spoke of their great respect and admiration for Gordy and the history of Motown and how important they felt it was to do it justice on stage. “There’s an energy here that is palpable still,” Randolph-Wright said. “And it remains in this space. I think more than anything, the second I walked in here, it told me that I have to be honest” in telling the Motown story. “I love that, because that’s what we’re doing,” he said. Presenter Jennifer Garner wore a custom Gucci Première bright violet silk crepe strapless column gown featuring an exaggerated back bow detail and a cascading train of tulle and organza ruffles. Oscar Host Seth MacFarlane wore a Gucci Made to Order black grosgrain notch lapel two button Marseille tuxedo with white dress shirt, black satin bowtie, black satin cummerbund and black patent leather lace ups to walk the red carpet. He then changed into a Gucci Made to Order black satin shawl lapel two buttons Signoria tuxedo with white dress, shirt, black satin bowtie and black leather lace ups. Nominee and Presenter Ben Affleck wore a Gucci Made to Order black satin peak lapel one button three piece Signoria tuxedo with white dress shirt, black satin bowtie, black satin cummerbund and black patent leather lace ups. Nominee Ang Lee wore a Gucci Made to Order black satin notch lapel two buttons Signoria tuxedo with white dress shirt, black satin bowtie and black leather lace ups. Presenter and performer Channing Tatum wore a Gucci Made to Order black satin shawl lapel two button three piece Signoria tuxedo with white pique cotton bibbed dress shirt, blacks satin bowtie and black patent leather lace ups on the red carpet. Later in the evening Tatum wore a Gucci Made to Order black satin peak lapel tailcoat with white pleated front tuxedo shirt, white pique cotton vest, white satin bowtie, and black satin cummerbund. Presenter Chris Evans a Gucci Made to Order black satin peak lapel one button Signoria tuxedo with white dress shirt, black satin tie and black leather lace ups. Performer Joseph Gordon Levitt a Gucci black satin trimmed shantung silk notch lapel two button Dylan tuxedo with white dress shirt, black grosgrain bowtie, black satin cummberbund and black leather laceups. Designer Douglas Says knows how to put together a fashion show, and …… HE HAD A POWERFUL FRONT ROW…. what a great event, in attendance was the Fabulous Designer Clarence Black, Fashion Empire Giant, Steve Cutting, Sofia Davis – Editor-in-Chief of Fashion Avenue News Magazine (aka The Black Anna Wintour), Couturier Leonard Davis, Lloyd Crawford, Editor-in-Chief of i-Fashion Magazine…. and many many more, the models walked the runway in beautiful garments created by Douglas Says, the colors, fabrics were simply amazing…. what a journey… and it started ON TIME!!!! Great Show Douglas!!!!!! Steve Cutting – After college, Cutting worked on Seventh Avenue with the design firm Enrico Masei. Then he moved to Italy and worked at a freelance studio owned by Anna Schpioni. Cutting worked in Italy and Germany where he was a designer for Krizia and Chiwitt from 1983 to 1985. In late 1985, Cutting returned to the United States and became the head designer for Philippe Monet. While at Philippe Monet, Cutting traveled extensively and began to specialize in leather and cloth outerwear. In 1990, he established his own freelance company, Steven A. Cutting, Inc. The company’s clients included Kenneth Cole, Reebok, Collage, and Pony. Cutting worked for himself until 1996, when he became head designer for Perry Ellis America. In 1999, he joined First Manufacturing Company, where he was the design director for Jimmy and Marylou and the Whet Blue Collections. In 2000, Cutting was hired by the Larry Levine and Boston Outfitters labels. Cutting has worked with the House of Dereon owned by Beyoncé and Tina Knowles and has also established his own label, Katalyst. Leonard Davis COUTURIER – Fashion designer, fashion event producer and Black Americana collector, Leonard Davis, and earned his associate degree in applied science at the Fashion Institute of Technology in New York. Davis then continued his education at the world famous L’Ecole de la Chamber Syndicale De La Couture Parisienne in Paris, France where he earned his “Couture Design” certificate in 1975. The Toronto Fashion Incubator (TFI) will debut its popular TFI Press & Buyers Brunch onsite at World MasterCard Fashion Week (WMCFW) for the first time ever this upcoming season. The new partnership with IMG Fashion will bring the TFI to the tents on March 21st and March 22nd from 12:30pm to 2:30pm, and will continue for the next two seasons, ensuring the TFI’s presence onsite throughout 2013 and beyond. Homegrown designers will exhibit their work in the Studio space during an intimate brunch that invites media, buyers and fashion industry VIPs to discover new brands and collections. The TFI Press & Buyers Brunch will be presented with a renewed look and location, providing an ideal opportunity for the Toronto fashion community to come together. Beginning at 12:30pm, guests will join exhibitors for a light brunch, catered by The Ritz-Carlton, and peruse the curated selections of Fall/Winter 2013 ready-to-wear apparel and accessory collections from entrepreneurial Canadian designers. As Executive Director of the TFI for almost 20 years, Susan Langdon continues to inspire, mentor and support Canada’s talent. Committed to promoting the Canadian fashion industry, Langdon has harnessed valuable relationships and partnerships for TFI, including this new synergistic partnership with IMG Fashion, who produces World MasterCard Fashion Week. TFI and IMG Fashion will co-curate the list of talented, handpicked exhibitors that will participate this March through a jury review process. Canadian apparel and accessory designers are invited to apply for a spot on the Studio floor before the closing date for applications, February 28, 2013. Interested Canadian designers should submit an application to TFI at tfi@fashionincubator.com. The selected designers will have the unique opportunity to gain important industry contacts including a post-event list of media, buyers and VIP attendees, showcase their brand alongside top calibre talent, enjoy complimentary catered brunch, and participate in a professionally coordinated event. Zang Toi showed a wonderful collection inspired by modern Imperial Russia. He intertwined the looks of the Faberge Egg and Peterhof Palace to create strong textures and rich colors. This beautiful collection consisted of basic black, royal purple, navy blue, and emerald green gowns. Each garment had a unique look, completed with short jackets and floor-length coats. The shoes were elegant fur and jeweled trimmed. This was the also debut of the Zang Toi Limited Edition Designer Nail Color entitled “Imperial Russia” created by Zoya. The Grand Finale piece a Jet Silk Velvet Grand Faberge Coat with Fox Collar and Imperial Gilded Garland Jet Hammered Silk Satin Grand Faberge Gown Lined with Imperial Gilded Garland Silk Velvet summon all audience on their feet to salute the designer with a standing ovation. Zang Toi is a Malaysian designer based in New York. He graduate from the Parsons School, has been creating fine luxury fashion for over 20 years and has earned the title “The Undisputed King of Luxury”. Joanna Mastroianni gives them fever with a collection of great colors, fabrics and (of course) accessories. From the beginning to the end, a very well put together collection. Nana Flores has arrived to the runways of Mercedes Benz Fashion Week. Discovered by celebrity fashion designer, Thomas LaVone, this 5’11, Naomi Campbell in the making model is perched for greatness and a long life on the runway. This season she had the opportunity to grace the stage at Mercedes Benz Fashion Week at Lincoln Center in the Project Runway Fashion Show. Nana took to the stage with the grace of a seasoned professional, she looked flawless. Fashion Avenue News Magazine is excited and happy for the future possibilities of this SuperModel in the making and will be there to cover her ever move. Brianna Flores is with Agency Model Management. This year during American Heart Month, The Heart Truth® is honoring the shared stories of women, like you, who have been touched by heart disease. For more than a decade, The Heart Truth has been uniting women in the fight against their #1 killer—increasing awareness of their personal risk factors and empowering them to take healthy steps to reduce their risk. Every day, as new women make healthier choices to protect their hearts, the power of The Heart Truth grows. On February 6, 2013, celebrities will walk the runway at The Heart Truth Red Dress Collection℠ Fashion Show, sharing the stories that inspired them to join our heart health movement. In stunning red dresses donated by some of the finest fashion designers, these women will bring to life our collective power as a nationwide community taking action to protect women’s hearts. Visit The Heart TruthFacebook page to watch the fashion show unfold live from your computer, and become a model for heart health by sharing your story and learning about the risk factors that may affect you. Motivate other women to take healthy steps in their lives to lower their risk for heart disease, and remind them that heart disease is preventable. The Red Dress Collection Fashion Show would not be possible this year without the American College of Cardiology (ACC), which has partnered with the National Heart, Lung, and Blood Institute to bring the important message of The Heart Truth to millions of American women.